This portion of the Russian River watershed is located adjacent to and south of Dry Creek Valley, Knights Valley, and Alexander Valley. 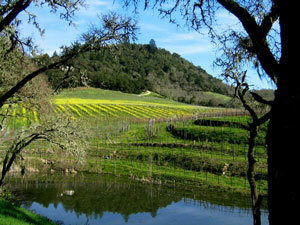 Healdsburg lies along the Russian River downstream of the Fitch Mountain gorge. This hard rock gorge separates the Alexander Valley and the Russian River Valley. 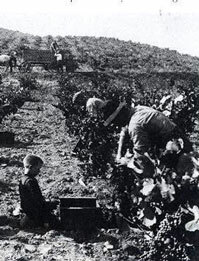 Vineyards, fruit orchards, cattle, and dairies were traditional agricultural uses in this area. Tributary creeks include Felta, Mill, Franz, lower Maacama, Foss, and Brooks creeks. 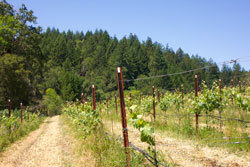 This 115-acre site includes 10 acres of vineyards and a large area of coniferous forest. Felta Creek flows through this site and supports steelhead trout spawning and rearing. The owners completed a major project to remove invasive non-native blue periwinkle and Himalayan blackberry and revegetate with native plants. Green Pastures has received an award from FFF for Outstanding Efforts in Stream Habitat and Restoration. This 335-acre site in the Maacama Creek watershed is dissected by a number of smaller creeks. Owner Ames Morrison manages the vineyards with a variety of cover crops to protect soil and improve water and grape quality. 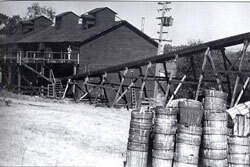 This 32-acre site houses the Rodney Strong Winery. The vineyard is managed for soil and water conservation, and the creeks are being managed to remove invasive, non-native plants such as Ludwigia or water primrose. 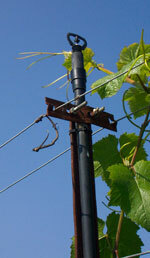 Simi Winery was first established in 1876 by the Simi Family and re-located to Healdsburg in 1881. 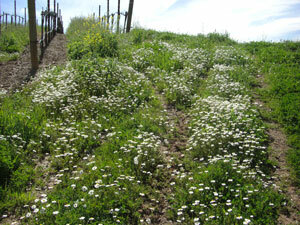 Simi Winery’s vineyards along Maacama Creek served as the model site for the field testing of the Fish Friendly Farming program in 1998. Originally certified in 2003, this 293-acre site is located along lower Maacama Creek and on an adjacent hillside, where no-till management techniques are used to conserve soil. 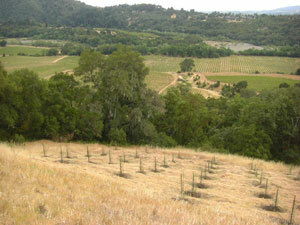 Simi Winery has preserved a diverse and healthy riparian corridor over 335 ft. wide. Vineyard manager Tom Gore works to control invasive non-native plants along Maacama Creek and replant native species to benefit wildlife. In 2007, Simi Winery was given an award by FFF recognizing Outstanding Efforts in Stream Habitat Improvement and Restoration. 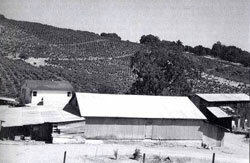 The Simi Winery vineyards were re-certified in 2008.